The glorious tale of a little castle mouse with a big heart – and a thirst for adventure! Despereaux is a mouse in love; in love with music, with stories, and with a princess named Pea. He can read books, and he can hear sounds that no one else can hear. (Two very dangerous talents for a castle mouse like him.) 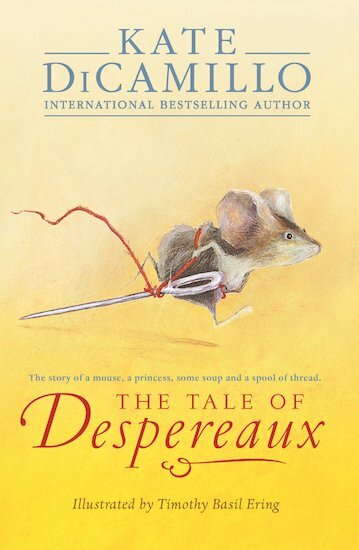 Everyone expects Despereaux to die young, but he stubbornly refuses to do so. But when he’s whisked into a breakneck adventure, will he finally win his heart’s desire? When I was 5 years old, I moved with my mother and brother from Philadelphia to a small town in Florida. People talked more slowly there and said words I had never heard before, like “ain’t” and “y’all” and “ma’am.” Everybody knew everybody else. Even if they didn’t, they acted like they did. It was all so different from what I had known before, and I fell swiftly and madly in love. 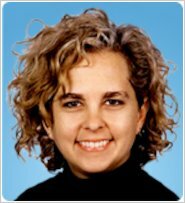 I also grew up with a dog I loved — a black standard poodle named Nanette. I spent a lot of time dressing Nanette up — in a green ballet tutu and then later like a disco dancer. She was a wonderful, very accommodating dog. I was a very sickly kid, and suffered from chronic pneumonia, which is why we moved to the warm southern climate. I think being ill contributed to my development as a writer. I learned early on to entertain myself by reading. I learned to rely on stories as a way of understanding the world. I read everything I could, and some of my favorites were The Twenty-One Balloons, The Secret Garden, The Yearling, Ribsy, and a book called Somebody Else’s Shoes. Writing my own stories had always been one of my dreams, but I didn’t start until I was 29. I was working in a book warehouse and was assigned to the third floor where all the children’s books were. For four and a half years, I spent all day, every day around children’s books and it wasn’t long before I fell in love with them. I also discovered how much time and work goes into creating stories. In college, teachers often complimented me on my writing, and I made the mistake of believing I had a talent for it. I finally realized that talent really doesn’t have anything to do with it, but working does. So five days a week, I get up, drink a cup of coffee, and then go to the computer and write. Two pages a day are what I ask of myself. I never want to write, but I’m always glad that I have done it. It takes me about a year to finish a book. I wrote Because of Winn-Dixie because I was homesick for Florida (I live in Minneapolis) and because I wanted a dog and couldn’t have one (I lived in an apartment building that didn’t permit them). It allowed me to go home and to spend time with a dog of the highest order. As for the other characters, I never know where they come from; I just feel happy and lucky when they choose me to tell their stories. India Opal Buloni seems so real to me, I don’t think I could have made her up. Rather, I feel like I discovered her. The most rewarding part of being a writer is when people tell me my stories have meant something to them. Also, I’ve gotten letters from kids who say they didn’t like to read until they read Because of Winn-Dixie, and now they like books. That’s an amazing thing. It makes me feel like the small stories I tell matter. If you want to be a writer, write a little bit every day. Pay attention to the world around you. Stories are hiding, waiting everywhere. You just have to open your eyes and your heart.